Avalanche to host, the video will be posted by one of the competitors after it is uploaded. DISCLAIMER: I am not, nor ever will be, a skilled stock unrealistic builder. This showcase is for robots made to look like something you would see at a real event. I do use DSL, and I do realize that basically every Stock bot is made to beat Starcore AI's and so on. Please, remember I do not play to build those. Thank you. With that out of the way, let's get into my first robot on this showcase, Vendetta. 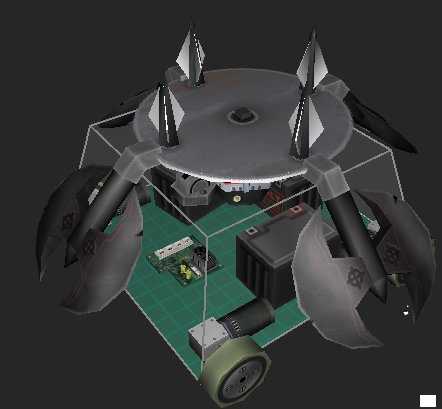 2 HP Z-Teks power the spinner and give it the illusion of a weapon chain. My only issues are the lack of a wedge or srimech, but neither of those fit well with the design. Overall I'm happy with the look and skin. General Support / How do I get Smart Zones in Stock? When I downloaded RA2 a while ago, I didn't realize that my save did not have smart zones available to use. Is there an easy to get them into my current save, or will I have to download a different version and transfer the bots? Before I start, I just want to say that my bots are mostly not meant for competition. 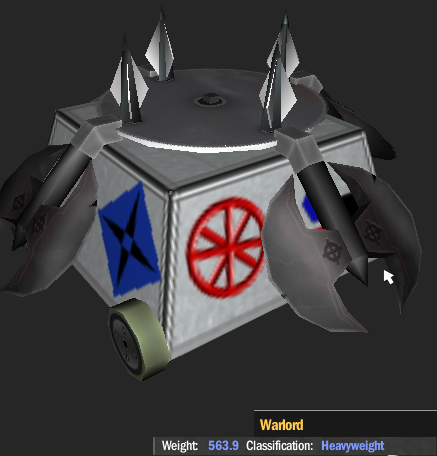 These bots are mainly IRL-ish and won't be overpowered or on the level of Starcore bots. This one is okay for being made purely for aesthetics. 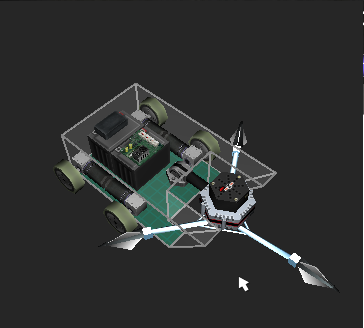 It works well at taking off wheels, but doesn't do so well against the chassis of other bots. It still wins against most things not named EMERGENCY(again, I am not that good at this game). 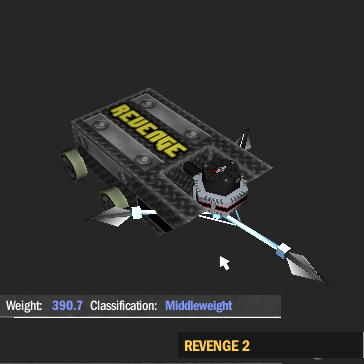 Now for the main reason I made this post, REVENGE 2. I have decided to improve some Stock AI with stock parts. REVENGE, that one terrible M.O.E ripoff, proved to be the perfect candidate for this treatment. I managed to make it beat every Stock AI middleweight pretty easily by weakening the armor to titanium (no middle weight without a good weapon needs steel), strengthening the weapon motor, and changing the weapon. You can see the results for yourself.